The real deal on Chabad’s apocalyptic calculations, and why Jews have always predicted elusive ends. The suspicion with which Jewish messianism is often regarded may well stem from the apparent contradiction it embodies. To await the Messiah is to live a life marked by optimistic anticipation for an unimaginably brighter future. But to live as a Jew requires full immersion in the demands of the present moment. The false-messiahs that litter the history of Jewish exile are nothing other than the failure of real events to live up to idealistic hopes. And yet a Judaism stripped of messianic inspiration is inconceivable. It is precisely such inspiration that has continued to sustain us despite all the trying upheavals of the ages. If the deity is infinite and omnipotent, can the deity simultaneously combine two mutually-exclusive events? The true nature of the divine self is difficult to conceptualize or explain. I do not wish to embroil myself or the reader in an abstract and convoluted philosophical discussion. Instead, I will focus on two illustrative text samples, drawn from the vast corpus of Chabad Chasidic thought. The first statement is from Hemshech Samach Vov (Vayolech Hashem Et Ha-yom, P.223), by Rabbi Shalom DovBer of Lubavitch. "The concept of infinitude (ain sof), literally without limitation, is that no property can be ascribed to the deity, and the deity cannot be defined with any description at all... Even the most wonderful and lofty description cannot be applied - even the description "without limit." Conversely, one cannot preclude anything from the deity, for the deity carries all things (potentially but not actually...) and the deity is precluded from everything. This is the concept of infinitude (ain sof): the preclusion of any description; the preclusion of limitation; the preclusion of any affirmation and the preclusion of any negation; the inclusion of all by default. All this is only possible for the very essentially of the divine self (bechinat ho-atzmut mamash), whose being is of its own self, and who is the true being whose being transcends actual being (aino be'bechinat metzi'ut nimazah)." "Since the miracle was made in order that the lighting of the menorah could be done in the finest possible way (for according to the law they were entitled to light using impure oil, [and a miracle was unnecessary, accept to allow them to avoid any legal lope-holes]), it makes sense to say that the miracle occurred in a form that allowed the oil to remain completely natural oil [as prescribed by law], without any quantitative or qualitative addition. In other words: When the Beit Yosef writes "that they found the lamps filled," the intention is not that the oil was first burned up, and afterwards new oil was created ("miracle oil"), but that the miracle was that the oil had never been burnt up at all, just like the burning bush about which the verse says, "behold the bush burnt in fire, and the bush was not consumed." Accordingly, they fulfilled the commandment to light the menorah with completely natural oil, which remained utterly unchanged (not quantitatively or qualitatively). According to this explanation, the combination of the natural and the miraculous is further highlighted. It transpires that the very fact that they had natural oil specifically was achieved via a wondrous miracle that completely transcends the limitations even of a regular miracle. The light of the lamps must come from the oil, and the oil must be turned [by combustion] into fire and light. If the oil is not consumed it follows, however, that the light did not come from the oil. If so, we must say that the miracle was such that although the oil was turned into fire and light, it nevertheless remained untouched. This is a most transcendent miracle, simultaneously embodying two mutually-exclusive events. It transpires that through a completely transcendent miracle specifically they were able to light the oil with completely natural oil." For a fun, humorous, entertaining, deeply illustrative and thoughtful re-imagining of how this miracle occurred see The Menorah Files by Rabbi Tzvi Freeman. Indeed, tohu is the simultaneous maximization of all the constituent principles of existence. The result of such perfection is the contradictory absurdity of the terrestrial realm. The following discussion of tohu and tikun is based on a discourse by Rabbi Shneur Zalman of Liadi (Torah Ohr, 8c-10b). Tohu and tikun may best be described as two alternative blueprints for the inner workings of reality. While these two systems are very different, they both are composed of the the ten modalities (sefirot) via which G-d chooses to be manifest. Moreover tohu and tikun actually function in tandem; the physical world that we inhabit exhibits much of the divisive chaos that results from tohu, and yet can be subjected to a regime of order and cohesion that stems from tikun. Due to its intense illumination, tohu fails to communicate the full panorama of divine manifestation. Consequently, each individual modality acquires an autonomous identity and loses its transparency to the divine source. The physical world as we know it is filled with a multiplicity of apparently discordant beings, each of which asserts its individual presence, autonomy, power and importance, and tries to grab our full attention. All of this immense diversity stems from the failure of tohu, and yet holds within it all the vast potential that tohu embodies. Tohu is intense illumination and unity masquerading as intense darkness and discord. Tikun is the antidote to tohu. As Rabbi Shneur Zalman explains, “In order for creation to survive there must be tikun - limited streams of illumination, different forms harmonized and tempered with one another... The illumination and vivification is not manifest with intensity... therefore... it is manifest with tolerance and, contrary to tohu, two complete opposites can coexist.” In the normal order of things, divinity can only be manifest in a limited form. Each of the sefirot must recognize and validate the role of the other forms of divine manifestation, though in doing so its own intensity is minimized. In the normal order of things, divinity is not manifest in a manner that fully reflects the infinite, absolute and eternal potency of G-d’s most essential being. Ultimately, however, the purpose of tikun is to repair tohu, and allow the true intensity of the divine self to be fully manifest. The soul of man is an agent of tikun. When the soul is forced to struggle with the burden of making a living, and other worldly endeavors, it is brought into direct contact with a more intense expression of divinity than it could ever have experienced in the celestial realms. This intensity is often perverted, giving rise to the banalities and profanities of earthly existence, but tikun empowers the soul to turn the failure of tohu around. Through prayer, acts of charity and the performance of the ritual commandments, the soul unleashes the vast reservoir of divine potential that lies dormant or misused in the mundane realm, and gives full expression to the absolute intensity of divine essentiality. For a post on Yud Tes Kislev, see here. That statement is true across the board. Over the course of two centuries, seven successive Chabad Rebbes were prolific exponents of complex mystical and philosophical paradigms, tackling such issues as the purpose and nature of existence, the relationship between G-d and Man, the nature of divinity, moral authority, the problem of evil, and a host of other theological conundrums. While several hundred volumes of original Chabad chasidic texts have been published, and continue to be studied within the Chabad community, the enduring relevance of Chabad’s vast intellectual contribution is only beginning to be noticed and is little known in the wider world. 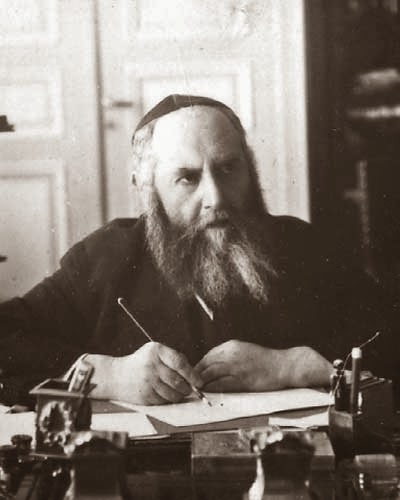 This statement is especially true in regard to the last Rebbe, who ascended to the leadership following the passing of the his father-in-law, Rabbi Yosef Yitzchak Shneersohn in 1950, and led the movement from his New York headquarters for over forty years. During this era, many leaders of Jewish orthodoxy recognised scientific, technological, social and philosophical progress as a threat to traditional beliefs and the traditional way of life. Rabbi Menachem M. Schneerson, however, saw the potential challenges as opportunities for the advancement of religion. He harnessed new technologies for the dissemination of religious teachings, and as a religious thinker displayed a deep sensitivity to the contemporary zeitgeist and to the changing paradigms of modern thought. For Rabbi Schneerson, the new frontiers being broken did not place religion on the defensive, but on the contrary, provided a unique opportunity for religious development. Indeed, he may have been unique in utilizing deconstructionist strategies as a medium for the affirmation, dissemination and assimilation of theological axioms. Rethinking the Significance of "Rebbe Stories"
I just watched this video account by Jerry Levine of his "encounter with the Rebbe". In general I'm not one for miracle tales, nor for "Rebbe stories" in general. Not because I don't believe in miracles, but because I do not believe that miracles display the true greatness of a Rebbe. To me the greatness of a Rebbe, and especially the greatness of my Rebbe, lies in the mystic transcendence transmitted in his teachings. Jerry's story is not a classic miracle story, in the sense that no unexplained change in the natural order of things occurs, but it certainly does point to some kind of transcendent insight on the Rebbe's part. Rather than think of this story in terms of the mystical statement it makes, we need think of it in terms of what it reveals abt the Rebbe's concerns and agendas. He entirely transcended the mundane concerns anyone coming from a practical / rational perspective, would expect him to address. Instead, he addressed himself to an apparently irrelevant - or solely mystical concern. Only once that issue had been satisfactorily been dealt with did he address the more practical issue with understated simplicity.